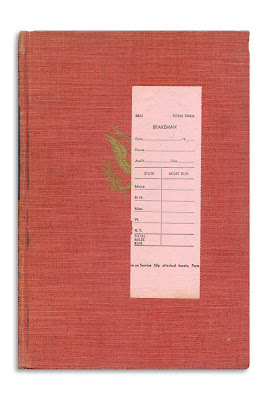 Work slip for a brakeman working the B&M Railroad. Codeine for pain in back. I saw Ralph in hall. Found in "Life in America: Volume Two" by Marshall B. Davidson. Published by Houghton Mifflin, 1951.